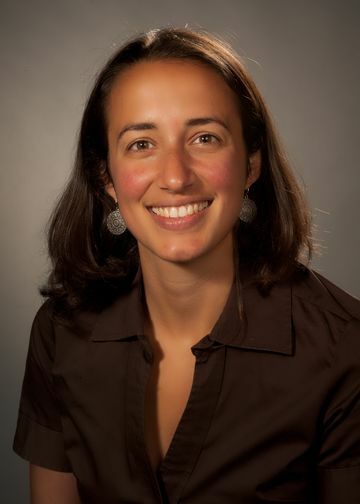 Lauren Block is a general internist and clinician educator. Her research interests include trainee wellness, interprofessional education, and curriculum development. She sees patients in primary care, precepts residents, and teaches epidemiology, communication, physical diagnosis, and clinical reasoning at the Zucker School of Medicine. Dr. Block’s focus is on curriculum development in undergraduate medical education, building interprofessional educational programs, the patient centered medical home, and the move to electronic prescribing. An evaluation of IMPACcT (Improving Patient Access Care and cost through Training). Block L, Morgan-Gouveia M, Kelly W, Kannarkat M, Chretien KC, Cayea D. “Participation of medical students in discharge tasks: A needs assessment.” Journal of the American Geriatric Society. 2015;63(10):2181-3. Block L, Jarlenski M, Wu AW, Feldman L, Conigliaro J, Swann J, Desai SV. “Inpatient safety outcomes following the 2011 residency work hour reform.” Journal of Hospital Medicine. 2014;9(6):347-52. Block L, Pitts S (co-first authors), Perl TM. “Barriers and facilitators of implementation of a mandate for influenza vaccination among health-care personnel.” Infection Control and Hospital Epidemiology. 2014;35(6):724-7. Block L, Cook B, Langley A, De La Torre D, Rogers MM, Noronha G, Sylvia M. “Coverage isn’t enough: Building primary care capacity in the setting of health reform.” Journal of Healthcare for the Poor and Underserved. 2014;25(1):25-28. Block L, Jarlenski M, Wu AW, Bennett W. “Did the 2009 U.S. Preventive Services Task Force Recommendation Reduce Mammography Use Among Women Ages 40-49?” Journal of General Internal Medicine. 2013;28(11):1447-53. Block L, Habicht R, Wu AW, Desai SV, Wang K, Silva KN, Niessen T, Oliver N, Feldman L. “In the wake of the 2003 and 2011 duty hours regulations, how do internal medicine interns spend their time?” Journal of General Internal Medicine. 2013; 28(8): 1042-7.